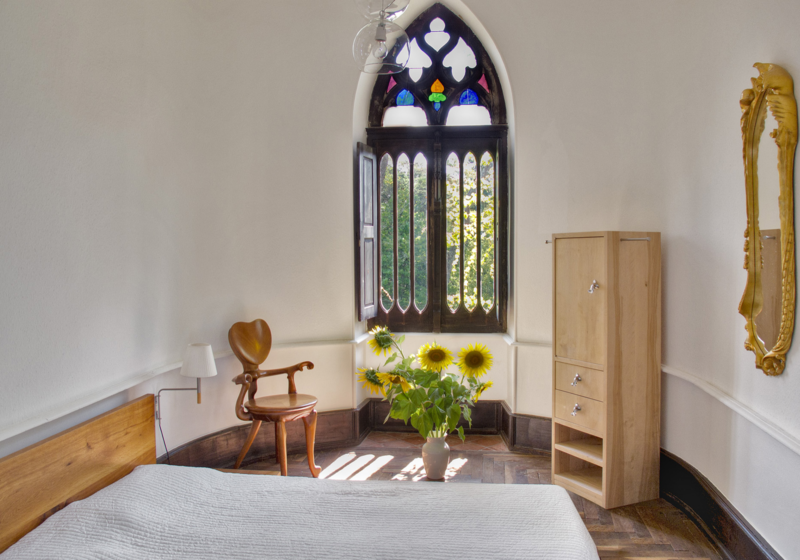 The Chateau features 7 double rooms and is perfectly furnished for 2 – 15 guests. The unique equipment offers itself equally well for family relaxing holidays, weddings as well as business meetings and seminars. If we cannot sell the beds to other guests, we will need to charge the guest as follow: 50% of the total price if they cancel after reservation and 100% of the total price if they cancel in the 30 days before arrival. If the guest doesn’t show up they will be charged the total price. These general terms and conditions define the rights and obligations of the parties in connection with the remote reservation of services offered our Chateau whose details are specified in this document of confirmation of reservation. They govern all the steps necessary for the booking and the follow-up of the reservation between the contracting parties. The customer acknowledges having read and accepted the present general conditions of sale and the conditions of sale of the reserved rate available on our booking/Payment platform. These general conditions of sale apply to all reservations made via the internet, via our booking/Payment platform. The customer chooses the services presented on our booking/Payment platform. He / she acknowledges having read the nature, the destination and the booking conditions of the services available on our booking/Payment platform and requested and obtained the necessary and - or complementary information to make his reservation in full knowledge of the facts. The customer is solely responsible for his choice of services and their suitability for his needs, so that our responsibility can not be sought in this respect. The reservation is deemed accepted by the customer upon completion of the Reservation/booking process. Reservations made by the customer are made via the dematerialized booking voucher accessible online on our booking/Payment platform. The booking is deemed to be formed upon receipt of the booking voucher. The customer commits himself, before any reservation, to complete the information requested on the voucher or the reservation request. The customer attests to the veracity and accuracy of the information transmitted. After the final choice of the services to be booked, the reservation procedure includes the entry of the credit card in case of request for guarantee or prepayment, consultation and acceptance of the general conditions of sale and conditions of sale of the reserved tariff before the validation of the reservation and, finally, the validation of the reservation by the customer. Our booking/Payment platform acknowledges receipt of the customer's reservation by sending an email immediately. In the case of online booking, the confirmation of the reservation by e-mail summarizes the contract offer, the reserved services, the prices, the conditions of sale relating to the selected tariff, accepted by the customer, the date the service information, and the address of the Chateau with which the customer can present his claims. 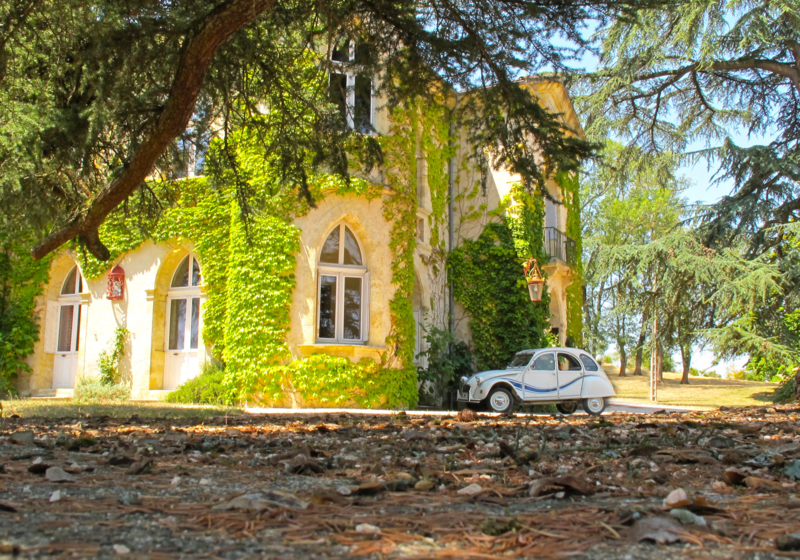 When the conditions of sale of the reserved rate allow, cancellation of the reservation can be made directly with the Chateau, whose telephone contact details are specified on the confirmation of the booking sent by e-mail. All reservations are registered and can not be transferred to any third party, free of charge or onerous. Pursuant to the regulations in force in some countries, the customer may be asked to fill out a policy card upon arrival. To do this, the client will be asked to present an identity document in order to check whether it needs to complete the police record. Any behavior contrary to good morals and public order will lead the Chateau to ask the client to leave the Chateau without any compensation and without any refund if a settlement has already been made. The customer accepts and undertakes to respect the said regulation. In case of non-compliance by the customer with one of the provisions of the Internal Regulations, the Chateau will be obliged to invite the client to leave the Chateau without any compensation and without any refund if a settlement has already been carried out. The photographs presented on our booking/Payment platform are not contractual. Although every effort is made to ensure that the photographs, graphic representations and texts reproduced to illustrate the Chateaus presented give as accurate a picture as possible of the services proposed, variations may occur between the time of booking and the day of consumption of the service. The Chateau can not be held responsible for the non-fulfillment or the bad execution of the booking in case of force majeure, by the third party, by the customer, in particular the unavailability of the Internet network, impossibility of access to the website, outside intrusion, computer viruses or in case of prepayment not authorized by the bank of the bearer. Any reservation or payment that is irregular, inoperative, incomplete or fraudulent for reasons attributable to the client will result in the cancellation of the order at the expense of the client, without prejudice to any civil or criminal action against the latter. Complaints relating to the non-fulfillment or poor performance of the reserved services must, under penalty of foreclosure, be brought to our knowledge in writing within eight days after the date of departure of the Chateau. The prices for the reservation of the services are indicated before and during the reservation. The prices are confirmed to the customer in the amount of TTC, in the commercial currency of the Chateau, and are valid only for the duration indicated on the booking/Payment platform. If the debit to the Chateau is in a currency other than that confirmed on the reservation, the exchange fees are to be borne by the customer. All reservations, regardless of their origin, are payable in the local currency of the Chateau, unless otherwise indicated on the spot. Unless otherwise stated on the booking/Payment platform, additional services are not included in the price. Taxes (local taxes, visitor's tax, etc ...), if applicable, presented on the rates page, must be paid directly to the hotel. The prices shall take account of the VAT applicable on the day of the order and any change in the rate applicable to VAT will be automatically reflected on the prices indicated on the date of invoice. Any modification or introduction of new legal or regulatory fees imposed by the competent authorities will be automatically reflected on the prices indicated on the date of invoicing. The customer communicates his bank details as a guarantee of the reservation, except for special conditions or rates, by credit card or private card (Visa, Mastercard, American Express,... according to the possibilities offered by the booking/Payment platform of the Chateau ), indicating directly, in the area provided for this purpose (secured entry by SSL encryption), the card number, without spaces between the digits, and its validity date (it is specified that the credit card used must be valid at time of consumption of the service) and the visual cryptogram. He must present himself at the Chateau with the bank card allowing him to guarantee the reservation. The debit of the payment is made at the Chateau during the stay, except in the case of special conditions or tariffs where the partial or total debit of the payment is made during the reservation. This prepayment is called a deposit. In case of no show (booking not canceled - customer not present) of a reservation guaranteed by credit card, the Chateau will debit the customer, as a lump sum, the amount indicated in its general conditions and special conditions of sale. The Chateau has chosen beds24.com/stripe.com to secure online payments by credit card. The validity of the customer's credit card is verified by stripe.com. There may be a refusal of the payment card for several reasons: stolen card, blocked card, ceiling reached, mistake of entry ... In case of problem, the client will have to approach his bank on the one hand, on the other hand to confirm its booking and its method of payment. In the case of a tariff subject to prepayment on line, the prepaid amount, that is the deposit, is charged at the time of booking. Some institutions may generate invoices / notes electronically, the original file is certified and available online at the internet address provided by the institution. The client is informed on each of the personal data collection forms of the obligatory or optional nature of the answers by the presence of an asterisk. The information processed is for the institutions, beds24.com, its entities, its partners, its service providers (and in particular the online payment service providers). The customer authorizes beds24.com to communicate his / her personal data to third parties, provided that such communication is compatible with the execution of the transactions falling to beds24.com under these terms and conditions and in connection with the client protection charter of personal data. In particular, when paying online, the customer's bank details must be transmitted by the payment service provider stripe.com to the bank of the Chateau for the execution of the booking contract. The customer is informed that this transfer of data can therefore be carried out in foreign countries that do not have adequate protection of personal data within the meaning of the Data Protection Act. However, the customer consents to this transfer necessary for the execution of his reservation. The entering of the required bank information and the acceptance of these terms and conditions and of the voucher or reservation request constitutes an electronic signature which has the same value as a handwritten signature between the parties. Computerized records kept in the computer systems of beds24.com. shall be kept under reasonable security conditions and shall be regarded as evidence of communications, orders and payments between the parties. The customer is informed that his IP address is registered at the time of booking. Force majeure means any external event that is unpredictable and insurmountable, which prevents either the client or the institution from fulfilling all or part of the obligations provided for in the contract. Force majeure or fortuitous events are considered to be those usually recognized by the jurisprudence of the French Courts. Neither party shall be liable to the other party for any failure to fulfill its obligations arising out of an event of force majeure. It is expressly agreed that force majeure suspends the parties from performing their mutual obligations and that each party bears the burden of the expenses incurred. These General Terms and Conditions of Sale are governed by the law of the country of Chateau Marteret, without prejudice to the mandatory imperative provisions that may apply in the country of residence of consumers. These General Conditions of Sale, the conditions of sale of the rate reserved by the customer, and the voucher or the reservation request express the full obligations of the parties. No general or specific conditions communicated by the customer can be integrated into these general conditions. The documents forming the contractual commitments between the parties are, in descending order of priority, the voucher or the reservation request (including the special conditions of the reserved tariff) and the present general conditions. In case of inconsistency between the booking voucher and the general conditions, the provisions in the reservation voucher will be the only ones applicable for the obligation in question. These general conditions of sale by internet can be modified at any time and / or supplemented by the Chateau. In this case, the new version of the general conditions of sale by Internet will be put on line by the Chateau. As soon as it is put on line on the Internet, the new version of the general conditions of sale by internet will apply automatically to all customers.16. Damage to property and contents: The Chateau reserves the right to inspect the property for damage during and after the stay period and to claim a monetary amount from the client if they have caused damage to the property or its contents. To be negotiated between the parties.